SELECT SIZE- bracelet will close to the selected size but will ALWAYS have extra string - so it can expand. *If you have a specific measure/size, please contact us! **IMPORTANT: Do not leave children unattended while wearing any kind of jewelry/accessory. Adult supervision at all times is advised. 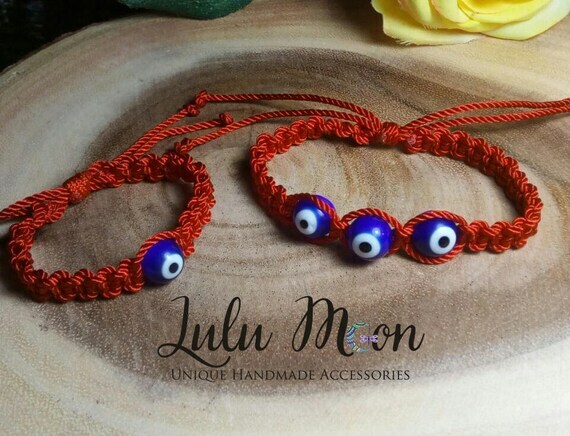 -->Meaning of the Evil Eye: lucky charm that is believed to provide protection against evil forces and the envious eye (people).